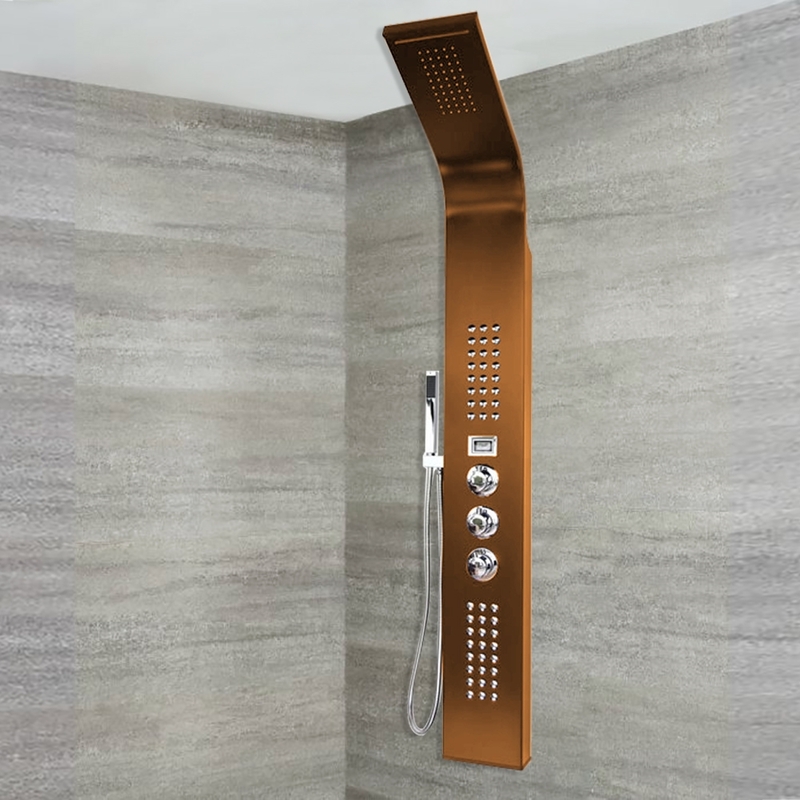 The Reno Shower Panel System is a Oil Rubbed Bronze Shower Panel that comes with a variety of features like Rainfall Shower Head, Body Shower Jets & a Handshower. 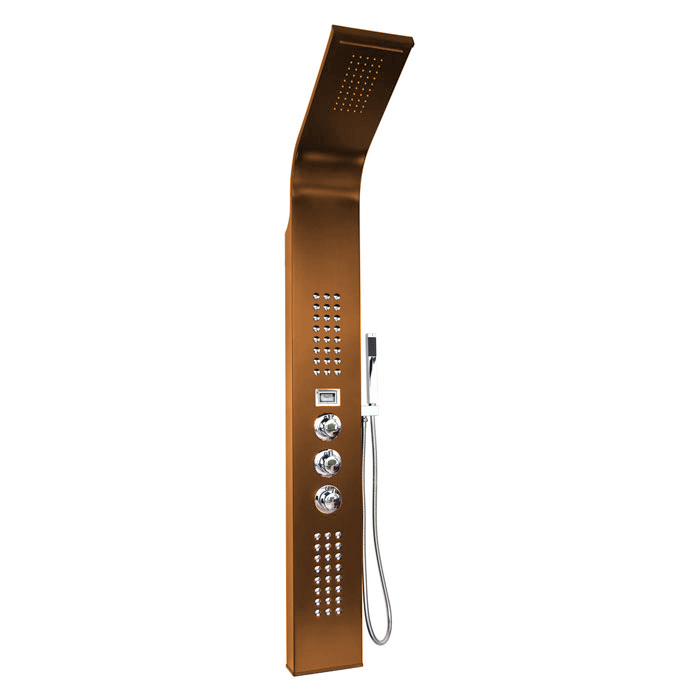 The Reno Shower Panel System is made of Stainless Steel & is wall mounted which comes with all the accessories requires for installation. 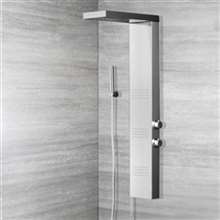 The very first thing that attracted me to this shower panel is the finish. Compared to the other shower panels here with the usual chrome or stainless finish, I like this one better. It looks more contemporary and even luxurious. I would actually think that this would be more expensive, but since I was able to buy this during the sale I think that the price was worth it. The shower panel works great, by the way, and I didn't experience any problem with it since I started using it. I've been eyeing this shower panel for a while now, about a month or so, and I really wanted to buy it but it seemed so expensive at $1500, though I believe that was a reasonable price. But still, I was pretty hesitant to shed that much cash for a shower panel. So when I saw that this was on sale, I just couldn't let it pass. I saved about $600 on this which was absolutely great. This wasn't really our first choice since we saw several other shower panels here that were more within our budget and has the same features. However, we really liked the bronze finish, and loved it even more when we actually saw it. It gets water stains every time though, which kind of ruins its appeal, but its nothing that a minor cleaning won't fix. Everything in this shower panel works really well. The features mentioned were all there and I do enjoy using it. However, I think the price is rather high. I understand that you get what you pay for, and this has given me a lot of endless fun in the showers, but I'd be much happier if they just lowered the price even more. A couple of things that I really like about this shower panel. First is the finish. I really like the oil rubbed bronze finish. This is the first time that I actually saw one because I'm so used to seeing chrome plated bathroom fixtures. Anyway, you can be sure that the next time I need a faucet, I'll be looking for one with this finish. Second, the features. This is as complete as it gets for a shower system. 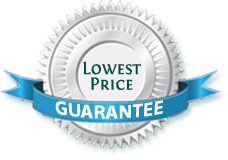 Lastly, the price. Who can argue with such a sale for such a great item?